High drama prevailed, when members of Tamil Nadu Toddy Movement offered toddy bottles as ‘padayal’ to the Mahatma Gandhi statue on Tuesday and Police arrested them. 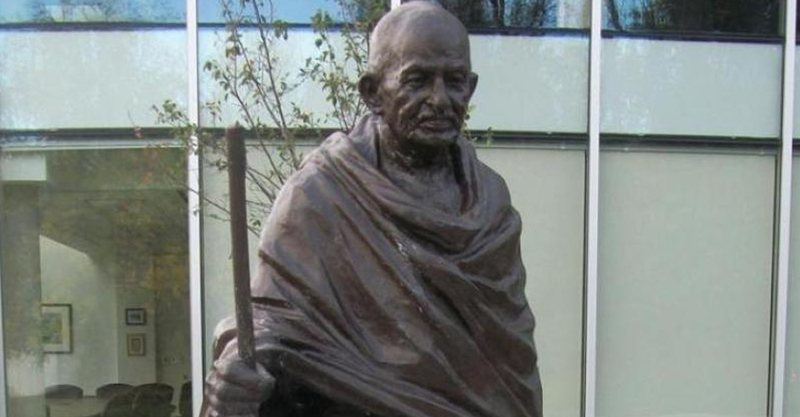 According to police, around 30 members assembled near Gandhi stature located along the Kamarajar Salai near Marina and they were placing a sizable number of toddy bottles before the statue, as tapping toddy in the state has been banned and they urged the government to lift the ban immediately. Convener of TN Toddy Movement S. Nallasamy said that they, a few days ago, sought permission from police. “However, the Triplicane police took a group of members including me as a ‘preventive detention’, when we had breakfast in a restaurant,” he said, adding that even as they had long been demanding for lifting the ban on tapping toddy, , the government had turned a blind eye. Nallasamy also accused the police of snatching phones from members and deleted pictures taken in the morning. “Snatching mobile phones is highly condemnable,” he said. The arrested members were taken to a community hall located in Mylapore and released later in the evening. When the Election Commission of India announces Assembly elections for Tamil Nadu, political parties in the state would usually be busy preparing election manifestoes, in which some parties include ‘total prohibition’ to woo the voters. A case in the point is the last Assembly elections in 2016. While one of the AIADMK promises noted that all Tasmac outlets would be closed in a phased manner, other parties like DMK, PMK and BJP promised total prohibition. “During 2011 Assembly elections, late Chief Minister J. Jayalalithaa assured of lifting ban on toddy tapping. However, after winning the election, the government failed to keep up the promise,” recounts Nallasamy. Even as political parties differ on various issues, there seems to be unanimity among the political parties in not lifting the ban on tapping toddy, he noted. He also alleged that while all other states in the country allow the toddy tapping, he is at a loss to understand that why the Tamil Nadu denies having given permission to tap toddy. Main political parties run ‘distillery’ units and supply liquor bottles to the government, which gets profound revenue. “Every corner has a Tasmac and it appears that every ruling party cannot run without revenue from Tasmac outlets and they fear that allowing of tapping toddy would steadily bring down the revenue,” he noted. It started with late Chief Minister M.G Ramachandran, who banned toddy on January 1, 1987. “Since then, all the Chief Ministers from MGR to M. Karunanidhi to current Chief Minister Edappadi K. Palaniswami – did not heed to our demand,” said another member of the movement. “We will continue our protests until the government accepts toddy-tapping,” he concluded.